Merlin Diamonds finds rare blue diamond (0) December 16, 2016 Merlin Diamonds has recovered a rare blue diamond from its Merlin diamond operation in the Northern Territory. Queensland Govt to support Sibelco sand mine workers (0) December 15, 2016 The Queensland Government is providing up to $5 million to support North Stradbroke Island Sibelco workers affected by the phase out of sand mining. JKC confirms Darwin LNG redundancies (0) December 15, 2016 JKC Australia LNG has confirmed there will be approximately 145 worker redundancies at the Ichthys project in Darwin. Atlas Iron appoints new managing director (0) December 15, 2016 Experienced resources executive Cliff Lawrenson will take over as managing director and chief executive officer of Atlas Iron in February 2017. 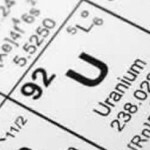 Paladin sells Australian non-core exploration projects (0) December 15, 2016 Uranium company Paladin Energy has offloaded several of its non-core Australian exploration assets to Uranium Africa for $2.5 million. 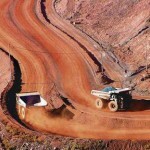 BHP working towards 2017 restart at Samarco (0) December 15, 2016 BHP Billiton says a restart to production at the Samarco iron ore joint venture with Vale in Brazil is possible next year, but only if several hurdles are overcome first. WPG officially opens Tarcoola gold mine (0) December 14, 2016 WPG Resources’ Tarcoola gold mine in South Australia officially opened yesterday, one of the state’s newest mines. FIFO workers sacked at Darwin LNG project (0) December 14, 2016 Around 240 FIFO workers have been sacked from Darwin’s LNG project. Victorian tyre company to employ sacked Stawell mine workers (0) December 14, 2016 Used Tyre Recycling Corporation (UTRC) has offered to employ some of the retrenched workers from the suspended Stawell gold mine in Victoria. Pilbara Minerals signs native title agreement for Pilgangoora (0) December 14, 2016 Lithium developer Pilbara Minerals has secured the native title agreement for its Pilgangoora lithium-tantalum project in Western Australia. 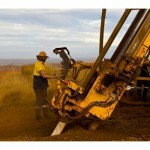 ASX companies splash more cash on exploration (0) December 14, 2016 Australian-listed companies are spending more on exploration, according to the latest research from BDO. 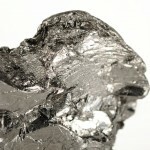 Intermin Resources secures joint venture with AXF Resources (0) December 13, 2016 Intermin Resources has entered a joint venture agreement with AXF Resources to advance the Richmond vanadium – molybdenum project in Queensland. Jobs to be cut at Stawell gold mine as Kirkland Lake halts operations (0) December 13, 2016 Kirkland Lake Gold has suspended underground mining at the Stawell gold operations in Victoria, leaving up to 150 workers without a job. TNG to develop Vanadium Redox Flow Battery market (0) December 13, 2016 Metals company TNG has partnered with Sumitomo and Energy Made Clean to develop and grow Australia’s Vanadium Redox Flow Battery market. Derelict mines summit shines spotlight on rehabilitation (0) December 13, 2016 The first international summit on derelict mines – Dealing with Derelict Mines – was held in Singleton NSW last week, with delegates exploring the best practice for rehabilitation. 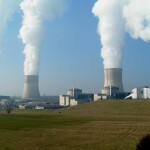 Global coal demand to fall over next five years: IEA (0) December 13, 2016 Global appetite for coal is waning as alternative energy sources continue to chip away at its dominance, according to the International Energy Agency (IEA). Rio Tinto awards Amrun contracts to Civmec (0) December 13, 2016 Development of Rio Tinto’s $2.6 billion Amrun bauxite project in North Queensland continues to gather pace following the award of $160 million of contracts to construction company Civmec. Rio Tinto denies drone surveillance allegations (0) December 12, 2016 Rio Tinto has rejected claims that it has used drones to monitor employees at company work camps. 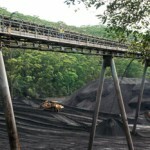 Queensland explorers warn that ‘compliance creep’ is hurting sector (0) December 12, 2016 Queensland’s explorers believe the performance of the sector has been ‘good, but could do better’ as the application process continues to cause concern. Top South Australians call for backing of nuclear repository (0) December 12, 2016 A group of 21 high-ranking South Australians have called on politicians to continue exploring the development of the proposed nuclear repository. Kingsgate’s Chatree future looks bright after new Thai mineral bill (0) December 12, 2016 Thailand’s government has passed a mineral bill allowing the legal operation of gold mines in the country, weeks before the closure of Kingsgate’s Chatree gold mine. Paringa raises funds for US coal prospect (0) December 12, 2016 Paringa Resources will raise $8 million on the ASX to fund development of the Poplar Grove coal project in the United States. Canadian lithium developer MetalsTech to float on the ASX (0) December 12, 2016 MetalsTech has launched its initial public offering (IPO) on the ASX, with shareholders of strategic partner Lithium Australia having priority to participate. New WA iron ore mine approved, set to begin in 2017 (0) December 9, 2016 Mount Gibson Iron has received approval to develop the Iron Hill iron ore mine in Western Australia. 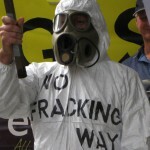 Victorian Government sued over fracking ban (0) December 9, 2016 Lakes Oil is suing the Victorian Government for $2.7 billion in damages following the state’s ban on gas exploration. 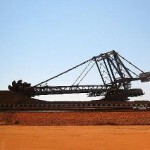 Iron ore jumps past $US80 (0) December 9, 2016 Iron ore has continued to have a stellar week, settling at $US81.90 a tonne overnight, according to the Steel Index. BHP Billiton locks in technology partnership with Hatch (0) December 9, 2016 BHP Billiton and technology company Hatch have entered into a collaborative development partnership, which will aim to accelerate the development and deployment of technological advances in mining and mineral processing. AMEC supports government move to make exploration more attractive (0) December 9, 2016 The Association of Mining and Exploration Companies (AMEC) has welcomed the Federal Government’s $100 million exploring for the future program. Traditional owners to launch more legal action against Adani (0) December 8, 2016 The Wangan and Jagalingou (W&J) traditional owners plan to conduct more legal action against Adani’s Carmichael coal mine, with claims it disregards their native title rights. Fatal incident at Las Bambas (0) December 8, 2016 A contractor has died at MMG’s majority-owned Las Bambas copper mine in Peru. 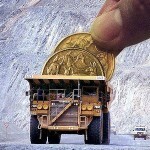 Australian miners paid more than half their 2014-15 profits in taxes: Minerals Council (0) December 8, 2016 Australia’s mining industry faced its highest effective tax rate in almost a decade in 2014-15, according to new research. Engenium secures Brockman Mining project management contract (0) December 8, 2016 Brockman Mining has selected Engenium to provide project management consultant (PMC) services at its Maverick iron ore project in the Pilbara. Santos to spin off non-core assets, cut debt with new strategy (0) December 8, 2016 Oil and gas company Santos has launched a new strategy that will see it focus on its key assets and spin off its non-core business into a new company. Schaeffler honoured at Bulk Handling Awards (0) December 7, 2016 Schaeffler received a highly commended award at the 2016 Bulk Handling Awards ceremony for two of its maintenance solutions. 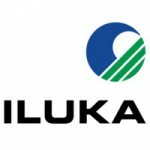 Iluka overcomes concerns surrounding Sierra Rutile takeover (0) December 7, 2016 Iluka Resources’ $375 million takeover of Sierra Rutile will go ahead after concerns about the West African company’s tailings dams were resolved. Roy Hill to boost workforce by up to 600 (0) December 7, 2016 Roy Hill plans to employ up to 600 workers over the next year and a half as it increases production at its Pilbara operations. Leading miners support new measures for tailings dam management (0) December 7, 2016 The International Council on Mining and Metals (ICMM) is taking measures to help ensure an incident like the Samarco tailings dam failure does not happen again. Adani commits to local workforce for Carmichael project (0) December 7, 2016 Adani will focus on sourcing employees for its Carmichael coal project workforce from regional Queensland and will not use foreign workers on 457 visas. 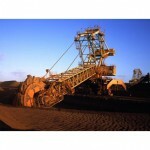 Iron ore tax ‘reasonable’ and ‘fair’: The Australia Institute (0) December 6, 2016 The Australia Institute has called for support of the proposed iron ore tax in Western Australia, considering it “fair” and “affordable”. 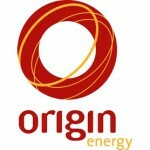 Origin to divest assets into new oil and gas business (0) December 6, 2016 Origin Energy has announced plans to divest its upstream business assets in an effort to reduce debt and focus on its energy markets and gas business. BHP secures Gulf of Mexico deal with Pemex (0) December 6, 2016 BHP Billiton has won a bid to acquire a majority share in the deep-water Trion oil field project in the Gulf of Mexico. Minbos to acquire Angolan phosphate partner (0) December 6, 2016 Phosphate developer Minbos Resources has agreed to buy its Angolan joint venture partner, Petril Phosphate, in a deal worth $20 million. Greenfields exploration rises in Australia (0) December 6, 2016 The latest figures from the Australian Bureau of Statistics (ABS) show that greenfields exploration activity has increased over the past six months. 2017 Australian Mining Prospect Awards nominations now open (0) December 5, 2016 Nominations for the 2017 Australian Mining Prospect Awards are now open, celebrating the best of the best in Australia’s mining industry. Gold price volatility impacts Dacian Gold funding plans (0) December 5, 2016 Dacian Gold has completed a $26 million share placement that it will use to fund the ongoing development and exploration of the Mount Morgans gold project in Western Australia. Miners memorial monument to be built in Ipswich (0) December 5, 2016 A new Miners Memorial Monument will be built in Ipswich, Queensland to commemorate the sacrifice and contribution of miners in the state. 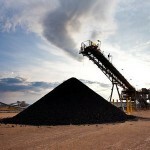 Queensland Government delivers final approval for Carmichael coal project (0) December 5, 2016 Adani’s Carmichael coal project in Queensland has received approval for a rail line and workers camp – its final major state and federal government approval. Toro Energy managing director moves on (0) December 5, 2016 Toro Energy’s Vanessa Guthrie has left the company after five years, including nearly four as managing director and chief executive officer. Red River on track for Thalanga restart in 2017 (0) December 5, 2016 The Melbourne-based company has secured a $30 million share placement to fund the restart of production at the Thalanga zinc mine in Queensland. 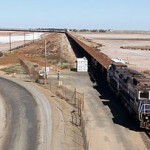 Genesee & Wyoming Australia finalise GRail acquisition (0) December 2, 2016 Genesee & Wyoming Australia (GWA) has completed its $1.14 billion acquisition of Glencore Rail (GRail) in the New South Wales Hunter Valley. Whirlwind week for iron ore prices (0) December 2, 2016 Iron ore prices have been tumultuous this week; soaring past $80 then slumping, before rising once more. 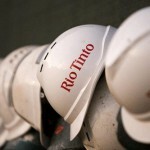 Rio Tinto faces probe into Mozambique operations (0) December 2, 2016 Rio Tinto has confirmed reports that it is under investigation by the US Securities Exchange Committee (SEC) over an impairment in its 2012 accounts in Mozambique. BP commits to Mad Dog project as BHP considers decision (0) December 2, 2016 BP is moving forward with the US-based Mad Dog oil project, which includes BHP Billiton as a key partner, at a considerably lower development cost. Iluka ends Brazilian joint venture with Vale (0) December 2, 2016 Mineral sands miner Iluka Resources has abandoned plans to develop the Tapira titanium project with Vale in Brazil. Mexican drilling program delivers positive results for Azure (0) December 1, 2016 Azure Minerals has upgraded the silver resource for the Mesa de Plata deposit at the Alacrán gold-silver-copper project in Mexico. Komatsu enters freight forwarding deal (0) December 1, 2016 Komatsu Australia has signed a three-year freight forwarding contract with DB Schenker to import equipment into Australia from Germany, Belgium, Indonesia, Norway, and the US. Attrition mill for enhanced efficiency released (0) December 1, 2016 Superior Industries has launched a new attrition mill within its line of washing and classifying machinery. WA Government adds funding for 42 exploration projects (0) December 1, 2016 A further $4.75 million in funding has been committed to the Western Australian Government’s exploration incentive scheme’s (EIS) co-funded drilling program. 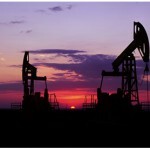 Oil prices soar on OPEC plan to lower production (0) December 1, 2016 Global oil prices surged significantly overnight after OPEC took the surprising move to cut production from January next year. APPEA backs ‘timely’ petroleum tax review (0) November 30, 2016 The industry body has expressed support for the Australian Government’s decision to review the petroleum tax system in the country. 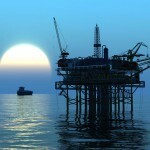 Australian Government to review effectiveness of petroleum taxes (0) November 30, 2016 The Federal Government has launched a review into Australia’s underperforming petroleum resource rent tax (PRRT). 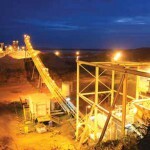 Traprock Mining taps market ahead of listing (0) November 30, 2016 The Brisbane-based company has launched a $6.5 million initial public offering (IPO) as it prepares to list on the ASX. Lucapa secures five year exploration license at Lulo (0) November 30, 2016 Lucapa Diamond has received approval for a new five-year kimberlite exploration licence at the Lulo diamond project in Angola. BHP Billiton and Vale iron out Samarco dispute (0) November 30, 2016 Vale, with joint venture partner BHP Billiton, expects to reveal when the Samarco iron ore mine in Brazil will restart in December. Kingston Resources considers WA gold mine acquisition (0) November 29, 2016 Kingston Resources has secured an agreement that could see it acquire a 75 per cent interest in Trillbar Resources’ Livingston gold project in Western Australia. Iron ore sails through $US80 (0) November 29, 2016 The iron ore price has topped $US80 a tonne for the first time in more than two years. Doubt builds over Iluka deal with Sierra Rutile (0) November 29, 2016 Iluka Resources has delayed its proposed takeover of Sierra Rutile after identifying geotechnical issues with the West African company’s tailings dams. 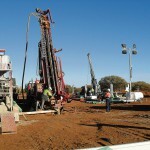 Dacian Gold launches capital raising to fund Mt Morgans development (0) November 29, 2016 The Perth-based company plans to use the funds raised to develop its 100 per cent-owned project in Western Australia. Komatsu dozer range extends efficiency and cost-saving benefits (0) November 29, 2016 Komatsu Australia has expanded its dozer range with the release of three new machines featuring the intelligent Machine Control (iMC) system. BHP Billiton cements Western Areas relationship with new nickel agreement (0) November 29, 2016 Nickel miner Western Areas has secured another off-take contract, this time with an existing customer, BHP Billiton’s Nickel West. 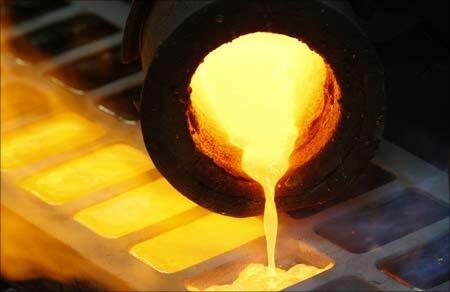 Australian gold production rises despite weather conditions (0) November 28, 2016 Australian gold production was marginally higher in the September quarter despite poor weather affecting some operations in the eastern states. Western Areas locks in agreement with leading Chinese steel producer (0) November 28, 2016 Nickel miner Western Areas has secured a three-year agreement to supply nickel to China’s Tsingshan Group. Komatsu unveils world’s first intelligent machine control excavator (0) November 28, 2016 Komatsu Australia’s new intelligent machine control (iMC) excavator features a factory-integrated 3D GNSS machine control and guidance system. Doray Minerals managing director quits (0) November 25, 2016 Doray Minerals’ founder and managing director Allan Kelly has resigned from the company after seven-and-a-half years. Kin considers acquisition after signing Gold Fields agreement (0) November 25, 2016 Kin Mining has signed an exclusivity agreement with Gold Fields for the potential acquisition of its Lawlers processing plant in Western Australia. Nifty Copper fined over rock fall death (0) November 25, 2016 Nifty Copper, a subsidiary of Aditya Birla Minerals, has been fined $60,000 following the death of an underground worker at the Nifty Copper mine last year. BHP Billiton approves Samarco funding as a restart edges closer (0) November 25, 2016 As the Samarco joint venture considers reopening the mine, BHP Billiton has cleared US$181 million in funding for remediation work at the site. Australia leads growth in global mining deals: EY (0) November 25, 2016 The number of mining deals in Australia is rising, according to Ernst & Young’s (EY) third quarter global mining and metals M&A activity report. 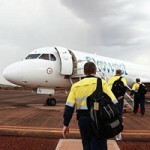 Fortescue director to join Pilbara Minerals in recruitment coup (0) November 24, 2016 Current Fortescue Metals operations director Nick Cernotta will join the board of Pilbara Minerals at the start of 2017. Could commodities suffer from the Trump effect? (0) November 24, 2016 Trump heading closer to presidency has seen a rally in metal and oil prices, further strengthened by the strong US dollar. 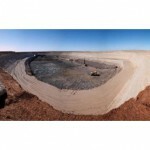 Cairn Hill revival to create employment in Coober Pedy (0) November 24, 2016 Cu-River Mining’s new mining and processing operation at Cairn Hill near Coober Pedy in South Australia is set to create 60 jobs in the region. Rio Tinto looks to significantly cut costs with productivity push (0) November 24, 2016 Rio Tinto has outlined a long-term strategy that will deliver an additional $5 billion in cash flow over the next five years. 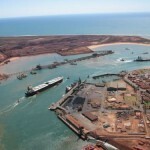 EPA clears the way for Fortescue mine expansion (0) November 24, 2016 Fortescue Metals has been given the environmental go-ahead to expand the Solomon iron ore operation in Western Australia. 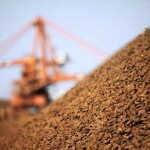 China rally sees return of iron ore, steel confidence (0) November 23, 2016 Both iron ore and steel have surged in China after investors scooped up commodities that were cheapened by a period of losses. RBA forecasts economic improvement for Australia’s key mining states (0) November 23, 2016 The Reserve Bank of Australia (RBA) is optimistic about the economies of major mining states, Western Australia and Queensland. RungePincockMinarco to provide software for major zinc miner (0) November 23, 2016 Glencore’s majority owned company Kazzinc, one of the world’s largest zinc miners and Kazakhstan’s largest gold miner, has selected RungePincockMinarco (RPM) software to boost productivity. 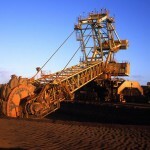 Australian miners showing signs of a comeback: PwC (0) November 23, 2016 Australia’s mid-tier mining companies are staging a comeback after surviving the industry downturn, according to PwC analysis. Galaxy prepares for mining at Mt Cattlin (0) November 23, 2016 Galaxy Resources has awarded an equipment contract at the Mt Cattlin spodumene project ahead of a start to mining in December. Dacian to spend $220 million on Mt Morgans gold project (0) November 22, 2016 Dacian Gold is hopeful that the Mt Morgans gold project will start producing in 2018. Roy Hill aims for a boost in operational efficiency with Promapp software (0) November 22, 2016 Software company Promapp will provide its cloud-based business process management solution for Roy Hill in WA. Victoria introduces legislation to ban fracking (0) November 22, 2016 The Victorian Government has introduced legislation to permanently ban fracking in the state. Resources & Energy Group acquires Burbanks gold mine in WA (0) November 22, 2016 The Burbanks gold mine in Western Australia has a new owner after Kidman Resources decided to sell the operation. 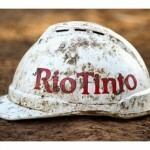 Rio Tinto to cut jobs in Western Australia (0) November 21, 2016 Rio Tinto will be cutting more jobs from it iron ore division in WA, with positions at its head office in Perth to be targeted first. 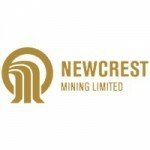 Newcrest partners with Randgold in Africa exploration deal (0) November 21, 2016 Newcrest and Randgold have entered an agreement to create an exploration joint venture in the south east of Cote d’Ivoire in West Africa. 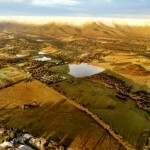 Rio Tinto transfers land to NSW govt for conservation (0) November 21, 2016 Rio Tinto has transferred more than 2000ha of land in NSW’s Lower Hunter region to the state government for permanent conservation. High-voltage motor series launched (0) November 21, 2016 Siemens’ new high-voltage motor series, Simotics HV HP, is able to cover an extended power range of up to 70 megawatts (MW). Flinders Mines approved for expanded iron ore project (0) November 21, 2016 Flinders Mines has received approval from the Department of Environment and Energy for expanded operations at its Pilbara iron ore project. 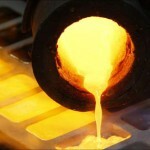 Gold standard summer school for mining industry’s future ‘superstars’ (0) November 21, 2016 Thirty future “superstars” of the mining exploration industry will take part in an intensive three-week course in South Australia this month. Minerals council welcomes SA govt support of Nuclear Royal Commission (0) November 18, 2016 The Minerals Council of Australia (MCA) has welcomed the South Australian government’s support of recommendations of the Nuclear Fuel Cycle Royal Commission. UNSW offers $1M in scholarships for mining engineering students (0) November 18, 2016 The University of New South Wales (UNSW) is providing $1.14 million in mining engineering scholarships next year to help meet the industry shortage. Next-gen screening machine for bulk dry materials (0) November 18, 2016 Haver & Boecker Australia have launched its next generation Niagrara M-Class screening machine for classifying dry bulk materials. Mining union calls on new QRC CEO for more black lung support (0) November 17, 2016 The CFMEU mining and energy division has called on new Queensland Resources Council CEO Ian Macfarlane to provide further financial support to victims of black lung. Santos enters PNG exploration deal (0) November 17, 2016 Santos has signed an agreement to farm-in for a 20 per cent interest in a Papua New Guinea exploration licence from both ExxonMobil and Oil Search. Mine worker severely injured after QLD truck rollover (0) November 17, 2016 A 56-year-old Townsville man has suffered serious injuries after a truck rollover at a Queensland gold mine on Tuesday. Rio executive heads roll after Simandou scandal (0) November 17, 2016 Rio Tinto has axed energy and minerals chief executive Alan Davies and legal and regulatory affairs group executive Debra Valentine following the Africa payments scandal. 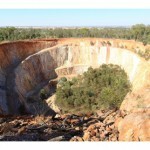 Oz Minerals’ Prominent Hill gets mine life extension (0) November 16, 2016 Oz Minerals has announced the extension of its Prominent Hill mine to 2028 following the release of updated resource estimates. 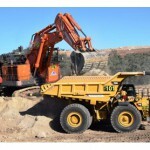 Machinery in demand as multi-million dollar projects start rolling out (0) November 16, 2016 Fuel-efficient heavy machinery will be in hot demand from hire and rental companies as several multi-million dollar projects kick off in South Australia. Goulburn quarrying and recycling open day a success (0) November 16, 2016 Lincon Group’s quarrying and recycling Open Day in Goulburn last week was a success, with visitors travelling from as far as Western Australia to attend. Motor protection for increased plant safety (0) November 16, 2016 Siemens has released the Simatic ET 200SP motor starter that protects electric motors and loads. 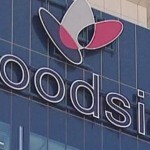 Woodside completes Scarborough assets acquisition (0) November 16, 2016 Woodside has completed its acquisition of half of BHP’s Scarborough assets in the Carnarvon Basin in offshore Western Australia. New metal detection technology strikes gold (0) November 16, 2016 Prospectors hoping to fund their retirement can now successfully search for gold in past locations with the help of a new, larger super-coil. 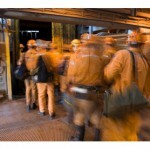 Rio’s Hope Downs to halt operations over Christmas (0) November 15, 2016 Workers at Rio Tinto’s Hope Downs 4 mine will be sent home during Christmas as part of the company’s efforts to cut operating costs. Huawei sets sights on oil and gas (0) November 15, 2016 Huawei continues to expand into the oil and gas sector, exhibiting industry solutions at the Abu Dhabi International Petroleum Exhibition and Conference (ADIPEC) 2016. South Australia on track for two new-era graphite mines (0) November 15, 2016 The owners of two of South Australia’s newest graphite mining projects are moving forward with plans to open mines over the next two years. 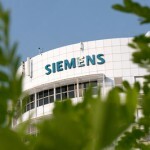 Siemens and Bentley form strategic alliance, joint investments (0) November 14, 2016 Siemens and Bentley Systems have announced a strategic alliance agreement to advance infrastructure project delivery and asset performance in complementary business areas. Cooling solution for remote field-based instrumentation (0) November 14, 2016 Intertec has launched a family of high-performance water coolers, designed to work in combination with passive cooling systems. 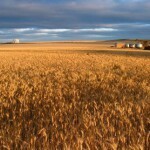 Grain growers cut down mining review and push for submissions extension (0) November 14, 2016 South Australian grain growers have questioned the independence of a review of South Australia’s mining laws and the short-time frame for responses, according to the Advertiser. 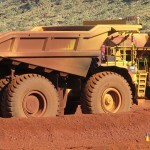 Proposed WA iron ore tax could cost thousands of jobs (0) November 14, 2016 The Minerals Council of Australia has savaged the WA Nationals’ proposed iron ore tax, after its commissioned Deloitte report found the tax would cost 7,200 jobs. NSW Scandium mine given the green light (0) November 11, 2016 The NSW Department of Planning and Environment has approved the development of EMC Metals’ Nyngan Scandium Mine project in New South Wales. 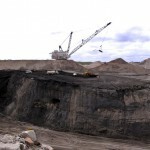 Adani aims for Carmichael mine construction next year (0) November 11, 2016 Adani expects the Carmichael project to begin construction next year, following the Queensland Government’s decision to exempt it from new water legislation. 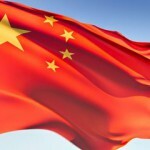 Pilbara Minerals in Lithium shipping deal with China (0) November 11, 2016 Pilbara Minerals has signed an offtake agreement to supply crushed but not processed direct shipping ore (DSO) to Chinese lithium producer Shandong Ruifu. BHP calls for stronger resources industry support (0) November 11, 2016 BHP Australia minerals boss Mike Henry has called on resource leaders to do a better job of promoting the industry’s innovation, bright future, and economic contribution. Thyssenkrupp opens new facility in the Pilbara (0) November 11, 2016 Thyssenkrupp has launched a new facility in Port Hedland to increase the maintenance and repair services for processing plants in the Pilbara. 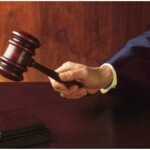 Compliant platform could have stopped Mt Lyell deaths: court told (0) November 10, 2016 The purchase of a compliant temporary shaft platform could have prevented the deaths of two workers at the Mt Lyell Copper mine in 2013, a court heard yesterday. Resistive touch monitors for industrial applications (0) November 10, 2016 Backplane Systems Technology has released Faytech’s Resistive Touch Series Monitors designed for demanding applications. FLSmidth wins Kwinana lithium equipment contract (0) November 10, 2016 FLSmidth has signed a deal to provide pyroprocessing and comminution equipment for Tianqi Lithium Australia’s lithium processing plant to be located in Kwinana, WA. Iron ore soars to nearly $US71 a tonne (0) November 10, 2016 Iron ore has rallied to a 12 month high of nearly $US71 a tonne while other metals including nickel, copper, and zinc have also surged, according to the AFR. 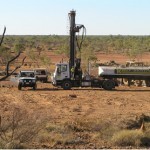 Carmichael mine saved from new groundwater laws (0) November 10, 2016 The Queensland Government has passed new laws ordering all mines currently under development to obtain a groundwater licence, with the exemption of Adani’s Carmichael mine. QLD govt pushes ban on 100 per cent FIFO workers (0) November 9, 2016 Queensland natural resources and mines minister Anthony Lynham has introduced to state parliament proposed laws banning 100 per cent FIFO workers on new large resource projects. Rig-mounted hydraulic breaker with increased impact energy (0) November 9, 2016 International construction equipment manufacturer Chicago Pneumatic has launched the RX12, a rig-mounted hydraulic breaker for carriers between 9-15 tonnes. Blair Athol mine life extended (0) November 9, 2016 The Blair Athol mine has received a two year mine life extension, with the reopening to create up to 300 jobs for Queensland’s Clermont community. National plan to boost Australia’s METS sector launched (2) November 9, 2016 The new 10 Year Sector Competitiveness Plan to improve the growth of Australia’s mining equipment, technology and services sector was launched at IMARC yesterday. Old mine to become home for new hydro storage plant (0) November 8, 2016 Genex is on track to develop a hydro storage plant at a disued mine in north Queensland, expected to power around 100,000 homes. 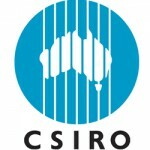 CSIRO enters mining research partnership (0) November 8, 2016 CSIRO and and CRCMining have entered a research partnership to create the mining innovation powerhouse, Mining3. Gold Road, Gold Fields sign Gruyere project joint venture deal (0) November 8, 2016 Gold Road has entered a 50:50 joint venture partnership with Gold Fields to develop and operate the Gruyere gold project in Western Australia. Mine worker dies after steel bucket incident (0) November 8, 2016 A worker has died at the Lightning Ridge underground opal mine in north west NSW after he was fatally hit by a steel bucket. 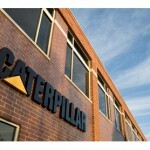 Caterpillar partners with Aussie hub in innovation deal (0) November 8, 2016 Caterpillar subsidiary, Caterpillar Ventures, has partnered with Australia’s CORE Resources Innovation Hub to connect startup communities and corporate networks to international opportunities in the resources sector. Jury dumps SA nuclear waste proposal (0) November 7, 2016 A citizen’s jury has rejected the proposal to develop a high-level nuclear waste dump in South Australia. Luxembourg ramps up space mining plans (0) November 7, 2016 Luxembourg has entered a 25 million Euro investment and corporation agreement with US asteroid mining company Planetary Resources to explore resources on near-Earth asteroids. 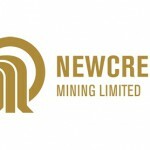 Newcrest partners with Antam for Indonesia exploration (0) November 7, 2016 PT ANTAM has entered a strategic alliance with Newcrest for copper and gold exploration in Indonesia. 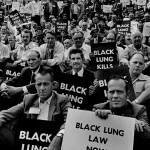 Black lung parliamentary inquiry heads to Ipswich (0) November 4, 2016 The next round of hearings for the Coal Workers Pneumoconiosis select committee’s inquiry into the resurgence of black lung is being held in Ipswich, Queensland today. Lincom Group to host quarrying and recycling Open Day (0) November 4, 2016 Lincom Group will host an Open Day event at Divall’s Carrick Quarry in Goulburn, NSW, on November 8 – 9 for quarrying and recycling applications. Device for mine revegetation wins big at innovation awards (0) November 4, 2016 A new tool to help revegetate mine sites and degraded agricultural lands has won the top prize at the 2016 WA Innovator of the Year awards. South32 acquires Peabody’s Metropolitan mine (0) November 4, 2016 South32 has entered a US$200 million agreement to acquire Peabody’s Metropolitan Colliery along with a 16.67 per cent interest in the Port Kembla Coal Terminal. 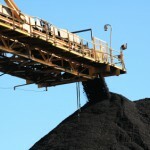 Hazelwood power station closure announced, site to shut in March (0) November 4, 2016 Majority owner Engie has announced that it will close its 1,600 megawatt brown coal-fired power station at Hazelwood on March 31 next year, with 750 jobs to be lost. 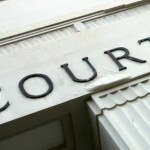 Anglo Coal found guilty after Grasstree mine death (0) November 3, 2016 Anglo Coal has pleaded guilty for failing its safety obligations after the death of an electrician at its Grasstree mine in 2014, Central Queensland News reports. Sufferers drop Rio Tinto from cancer lawsuit (0) November 3, 2016 The cancer sufferers who claimed their use of talcum powder obtained from Rio Tinto’s talc mines caused their condition have dropped their case against the company. 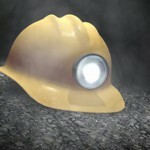 Chinese coal mine explosion: all 33 dead (0) November 3, 2016 All of the 33 miners trapped underground after a gas explosion in a Chinese coal mine have been found dead following the incident on Monday. 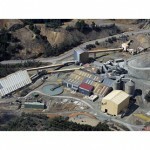 Plant simulation software for minerals processing (0) November 3, 2016 Haver & Boecker have released plant simulation and optimisation software NIAflow for mineral processing and quarry operations. Main burner valves for oil and gas (0) November 3, 2016 Emerson has released the Fisher Type 119EZ and 119EZS main burner valves for burner systems used in oil and gas production. Dust suppression solution for unsealed trafficked areas (0) November 2, 2016 Australian dust management company Reynolds Soil Technologies (RST) has developed Rapid, a dust suppressant for unsealed trafficked areas on mining sites that improves dust control efficiencies. New mineral unearthed in Tanzania (0) November 2, 2016 A new mineral has been discovered in the Merelani mining district in Tanzania – dubbed merelaniite. Glencore to restart Integra underground mine (0) November 2, 2016 Glencore has announced plans to restart mining at the Integra underground coal mine in the NSW Hunter Valley for two years, creating up to 275 new jobs. Resin firing system leads way in strata control (0) November 2, 2016 A system to stop mines from caving in will be used to safeguard new projects in Mongolia. GE and Baker Hughes partner for combined oil and gas company (0) November 1, 2016 GE’s oil and gas business and supplier of oilfield services, products, technology and systems Baker Hughes are combining to create an oilfield technology company. The future of mining on display at IMARC (1) November 1, 2016 The International Mining and Resources Conference will be held in Melbourne next week, addressing the need to improve productivity and optimise operations amid low commodity prices. Arrium Mining partnership to upgrade iron ore waste (0) November 1, 2016 CDE Mining has partnered with Arrium Mining to process and convert almost 17 million tons of low grade iron ore fines in waste dumps into saleable product. 700 to march against bill that could delay Acland mine operations (0) November 1, 2016 More than 700 community members from Queensland’s Darling Downs will march on Parliament House today against a new bill that could further delay mining approvals. Gas explosion in Chinese coal mine kills 15 (0) November 1, 2016 At least 15 people have died and 18 are missing after a gas explosion at a coal mine in south western China yesterday. Light, fully-rugged Toughpad tablet released (0) October 31, 2016 Panasonic has launched the world’s lightest fully-rugged Android 10.1” Toughpad tablet, for protection against drops and shocks, heat and cold, vibration, contamination, dust, and rain. EPO issued against mothballed QLD uranium mine (0) October 31, 2016 Uranium Mineral Ventures Incorporated has received an environmental protection order (EPO) to further safeguard against the release of contaminants from the non-operational Ben Lomond uranium mine. 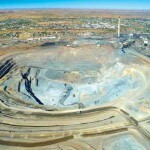 Glencore’s Black Star mine goes into care and maintenance (0) October 31, 2016 Glencore has announced the Mount Isa Mines’ Black Star zinc mine has transitioned into care and maintenance after mining out its existing reserve. Eyewash solution for on site safety (0) October 27, 2016 Tobin’s Eyewash Systems are designed to be a quick and safe way to wash chemicals from the eyes. Mobile wireless monitor for industrial safety (0) October 27, 2016 Honeywell has announced the next generation of its AreaRAE Plus multi-threat monitor to help connected workers and safety managers make faster and more informed safety decisions. 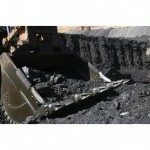 Coal price soars, sees mines reopen (0) October 25, 2016 The current surge in coal prices has signalled positivity in the resources sector, leading to announcements of mines reopening both in Australia and overseas. Isolation solution for bulk handling and minerals processing (0) October 25, 2016 Air Springs Supply has released Marsh Mellow springs, a maintenance-free alternative to metal springs that do not require lubrication and will not suffer permanent compression. Winners of the 2016 Prospect Awards (0) October 24, 2016 The 13th annual Prospect Awards took place this year in Sydney, celebrating the best of mining in Australia. Santos sells Victorian gas assets to Cooper Energy (0) October 24, 2016 Santos has announced the sale of its Victorian gas assets to Copper Energy for $82 million, exiting from offshore Victoria. Aussie among employees facing homicide charges for Brazil mine disaster (0) October 24, 2016 An Australian is among the 21 people Brazilian prosecutors have filed homicide charges against following BHP and Vale’s Samarco mine disaster in November last year. Man dies after mine collapse in Queensland (0) October 24, 2016 A 62-year-old man has died after a makeshift mine collapsed on him in the remote outback area of Opalton. Evolution Mining fined after worker’s legs crushed (0) October 21, 2016 Evolution Mining, formerly La Mancha Resources, has been fined $95,000 after a worker’s legs were crushed by falling rocks at the Frog’s Leg gold mine. QLD rock sample library expanded to boost exploration (1) October 21, 2016 Natural resources and mines minister Anthony Lynham has officially opened the expanded Exploration Data Centre in Brisbane, hosting Queensland’s largest rock sample library. Genesee & Wyoming Australia win Glencore rail assets (0) October 21, 2016 Genesee & Wyoming Australia (GWA) has entered an agreement to acquire Glencore Rail (GRail) for $1.14 billion, beating earlier bids from Pacific National and Aurizon.